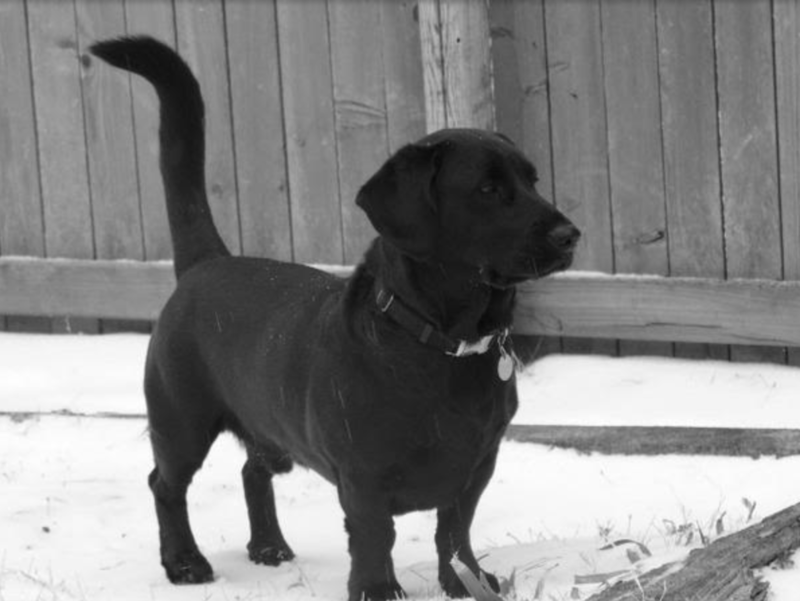 » What is a Dachshund Lab Mix? 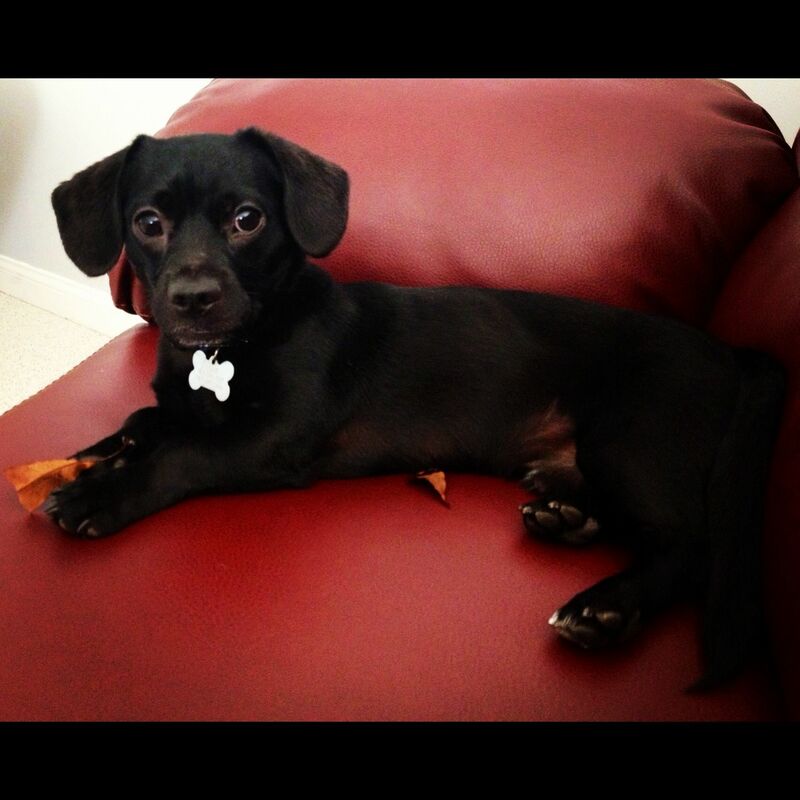 Imagine a breed that has both the qualities of dachshund and Labrador! Wouldn’t that be amazing? Well, the Dachsador is the product of both of these breeds. It is very loving and you will always enjoy how it lights up your home. The breeders who came up with this idea had a lot to consider before making this lovely pup. This article therefore, aims to study the individual parental characteristics that qualifies them for this experiment as well as what to expect from the Dachsador in terms of characteristics, personality and care of this breed. A very entertaining and funny pooch. Under good care and health conditions, it can live up to 15 years. It can easily adapt to apartment lifestyles. It’s time we move on to the next parent. The Labrador Retriever has characteristics of a friendly and useful labour dog. Historically, it earned a place in fishermen’s hearts by helping around with fetching ropes, hauling nets and salvaging fish from the North most regions of the Atlantic. This pooch is one of the most famous breeds in the USA. Read more about The Labrador Retriever here. It is quite a site for sore eyes. Packed with the best qualities of the Dachshund and Labrador, the hybrid will warm its way into your heart easily. Most people have different expectations when it comes to this hybrid, due to the noticeable differences between the parents. Has a muscular compact body. However, the hybrid’s physical characteristics depend majorly on the parental characteristics. Hence, the parents need to be carefully picked and studied before cross-breeding. A prior exposure to the parents will help you prepare for some of the unusual characteristics of this hybrid. Without a doubt, the Dachshund Labrador mix is a loving and friendly dog that will always wiggle its tail when seeing you. As a typical family dog, it loves to associateitself with the ‘pack’. So, playing with kids requires constant supervisions. The Lachsador is a very energetic dog, thanks to its parents' genes. The hybrid will love taking a morning run with you and you might take this chance to bond with it. As an intelligent pup, it will definitely require some training. The hybrid is not keen on cold and hot weather. Hence, it should stay indoors more often. As a moderate shedder, brushing twice a week will reduce the chances of its fur matting. This will also make it neat and presentable. Its nails also require trimming like any other breeds. Additionally, you can give it a bath whenever dirty. Take this opportunity to check for bruises or wounds on her too. With two diverse parents, it means that the Dachshund is exposed to more diverse traits. Therefore, it requires a very strong and consistent trainer ​who also understands her well. It is always advisable to train it at a tender age like other puppies. All in all, her eagerness and energetic character shows that she is a very quick learner. Hence, her training doesn't come hard. The health problems this hybrid may suffer are usually related to the individual parents. It is always advisable to consult your breeder about the parental health problems so you can take appropriate precautions. A carefully planned diet will reduce the chances of obesity. Don't be tempted to overfeed this adorable creature! Regular appointments to the vet will keep it in check, too. the Dachshund Labrador mix is one of the most loving dogs. Be sure to find a well-schooled breeder who can provide a health guarantee on the pooch.This is an important step before settling for hybridization. More to that, consult its breeders about what to expect from it before taking it home.